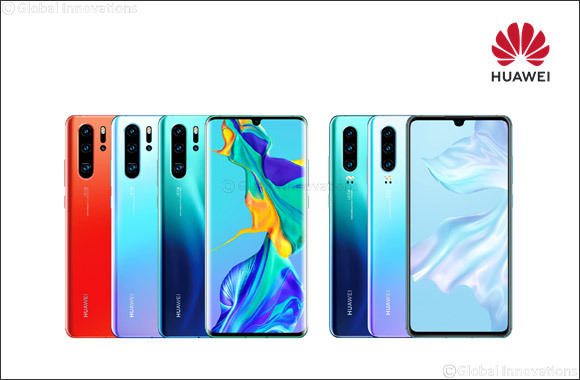 Dubai, UAE, March 26, 2019: During an exclusive launch event today at the Paris Convention Center, Huawei Consumer Business Group (BG) unveiled the HUAWEI P30 and HUAWEI P30 Pro. The HUAWEI P30 Series builds on the HUAWEI P Series DNA in design and photography and is the company’s most advanced series of smartphone cameras. These devices feature the innovative HUAWEI SuperSpectrum Sensor, an optical SuperZoom Lens, a new HUAWEI Time of Flight (ToF) Camera, and enhanced optical and AI image stabilization technology. With these revolutionary technologies, the HUAWEI P30 and HUAWEI P30 Pro capture incredible photos and videos in every scenario. The HUAWEI P30 Series is equipped with a suite of advanced wireless communications capabilities supporting Dual SIM and Dual VoLTE connectivity .